Jaded Blossom: Hope Your Birthday is a Grand Slam! 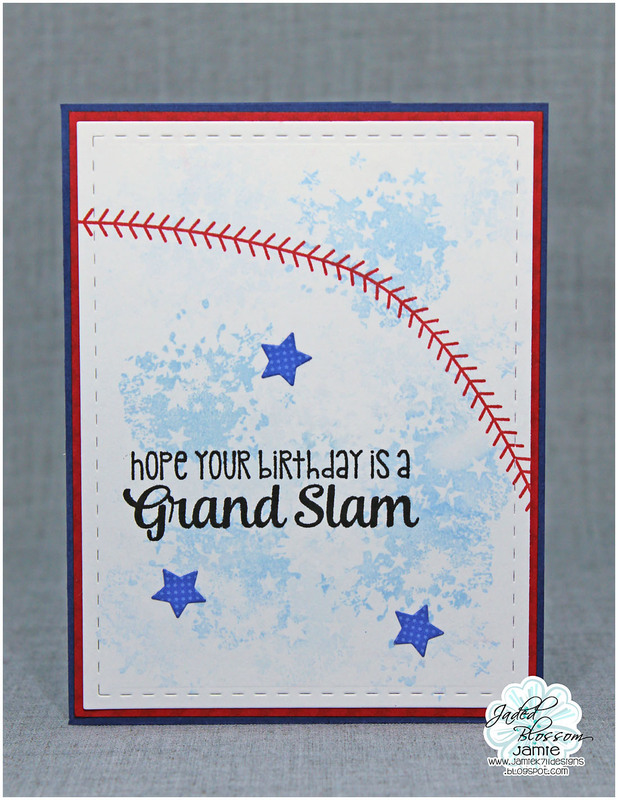 I started with Card Mat Dies and stamped a Party Splatter to the background. Then I added the stitching from Sports Tapes and a sentiment from Hey Batter. Last I added a few Star Dies!